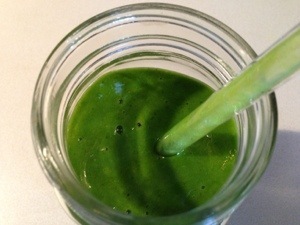 Green Tea Chlorella Mango Spinach Smoothie & BeetBerry Mint Lemonade Juice Recipe. I was feeling super duper inspired today in the kitchen and ironically it was because I hardly had anything around in the house. My mother was kind enough to stock up on a few things for me, and I guess there was a sale on frozen fruit so I have several different options in that department! I haven’t been making too many smoothies lately so in a way this was a nice change. Today I made a twist on a classic smoothie I would make when I feel extremely lazy, have nothing around or if I am at a smoothie shop and I realize that it’s not real whole food smoothies. Green Tea is beneficial for the liver, giving a detoxification boost. Green Tea does have a mild percent of caffeine, but it also contains L-theanine which has calming properties. Many of us know about Green Tea because of it’s high anti-oxidant content and alkalizing properties. 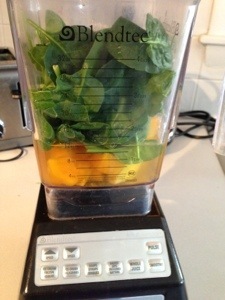 Once in a while I like to add teas to my smoothies to another layer of flavor instead of using water. Teas are excellent when creating your own living vegan soups, it can add flavor to your broth. 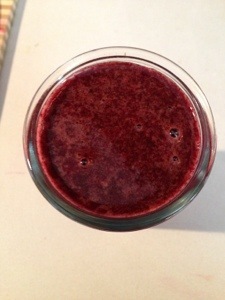 I have made several variations of Beetberry smoothies on my site. Beets are one of those vegetables I have been told are not tasty to people. I strongly believe that there is a way to prepare any fruit or vegetable to please anyone’s taste buds. Beet juice tastes completely different from roasted beets, roasted beets and juiced beets taste nothing close to what canned beets taste like and so forth. So take risks, laugh, find a balance that serves you and most importantly have fun with it! 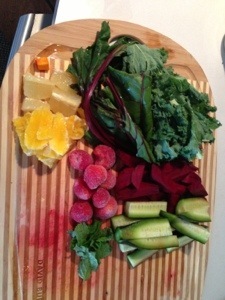 This juice is sweet, savory, cooling, warming, and has a little bit of everything! « Beauty Health Promoting Cocktail. Health Benefits of Oranges & Celery. Peaches n’ Cream Pie Smoothie Recipe.